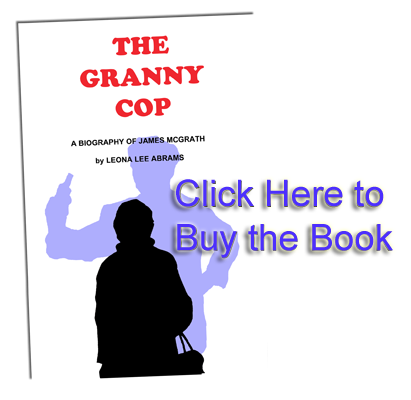 The Granny Cop is a biography written by Leona Lee Abrams in the early 1980's. The book contains detailed accounts of the experience of James McGrath as he walked the streets of Philadelphia dressed as an old woman while working for the Philadelphia Police Stake Out unit. Also included in the book are detailed accounts of his experience in World War 2 as a navy crew member of an LST. This book details many of Jim's experiences while a member of the Philadelphia Police Force, from his first day in the academy to his retirement. This book contains a lot of Philadelphia history.